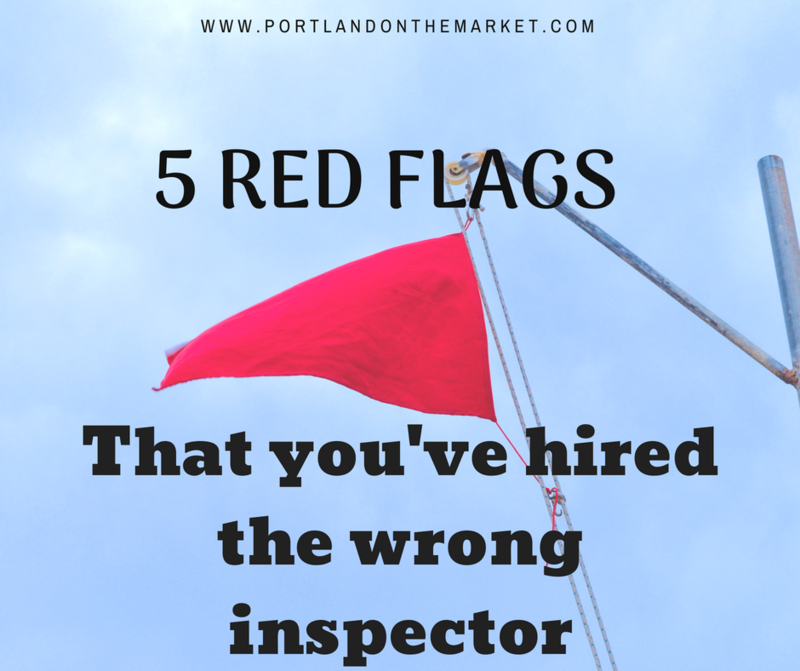 No one wants to know they chose the wrong inspector once they’re on the job, but if these 5 red flags make you wary, know that you can have a re-do and schedule another inspection with a more qualified professional. If your home inspector says that you do not need to be present for the inspection or that they prefer to do the inspection on their own, it’s probably not a good idea. We encourage all of our homebuyers to be present during the inspection so that they can ask questions, find out as much as possible about the property and understand general construction and material stability. Also, as your agent, we like to be present on-site or any time a key box has been used to enter the property. All of the inspectors we recommend are approved and licensed but if you choose an inspector that is not licensed in the state of Washington or Oregon they may miss some valuable coding and zoning laws that are specific to our state. If the seller notices that the inspector was not licensed, any repair requests that you make may not be valid. Always choose an inspector that is licensed with the state in which you’re buying. If the inspector simply takes a glance up on the roof or refuses to go in the crawlspace, you could be missing some serious information that could affect the purchase. All home inspectors should be extremely thorough from the chimney and the rooftop to the foundation and crawlspace and everywhere in between. If your inspector simply glosses over certain major items or construction materials, that could be a sign that they are not qualified or diligent in their profession. The inspector uses confusing jargon and tries to undermine real estate agents and buyers. If the inspector uses building codes, professional language or legal jargon that is simply confusing or has a tendency to undermine your opinion, this is a big red flag. Good inspectors will clearly explain any building code violations not just with a number but with the footnote as well, explaining it in basic language so that anyone can understand what’s happening. There’s no point to the inspection if you don’t understand anything the inspector is explaining. Now most inspectors, at least good ones, are not alarmists. They won’t go on and on and tell you how horrible the house is and why you shouldn’t buy it. Professional opinion should be unbiased, accurate and honest, however, if your inspector has nothing to report and says the entire property is perfectly fine without giving any suggestions or concerns, chances are they’ve missed something. Inspectors will look at very minute items such as checking each plug-in outlet, light switch, gouge in the wall, missing doorjamb, rips or holes in window screens and any alterations that the property may have undergone. While these are not life-threatening or hazardous issues, they are things to be aware of. If your inspector says that there is nothing wrong with the entire house, it might be time for a second opinion. For more information on finding a qualified professional inspector throughout western Washington and Oregon please give us a call. There’s always an inspector close to you. What do home inspectors really do? Should you have a home inspection on a condo?